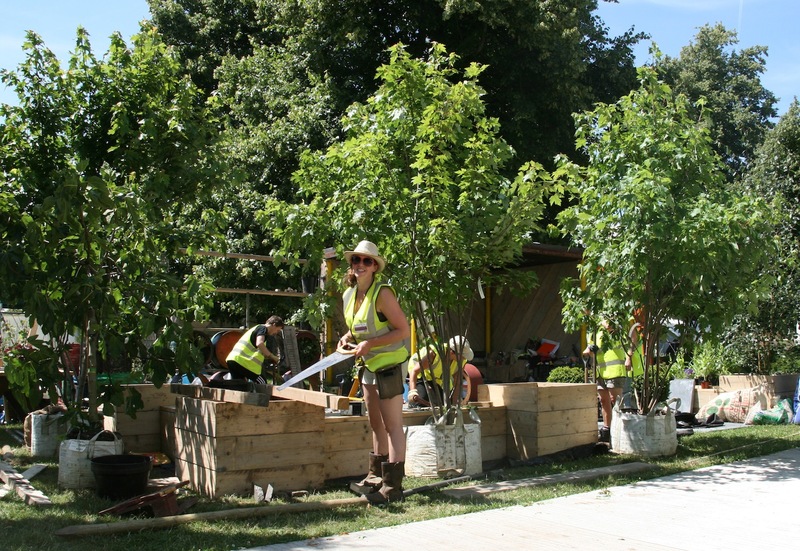 Metal collaborated with local garden designer Jeni Cairns to create a garden for RHS Hampton Court Palace Flower Show – one that returned to Chauffeurs Cottage, Metal’s base in Peterborough. 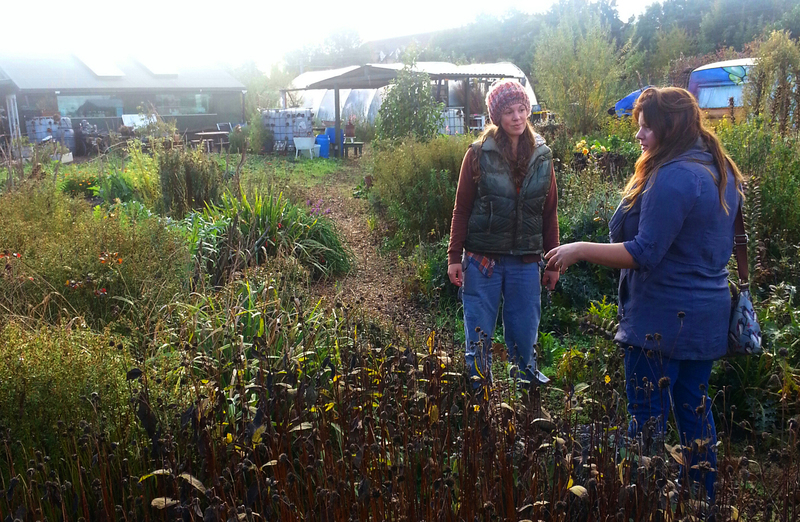 Jeni has worked with Community Gardener and Wild Activist Sophie Antonelli from The Green Backyard to design a versatile urban garden that not only provides a relaxing and stimulating environment for conversation, but also supports food production, workshop activity and a performance space to showcase local artistic talent. 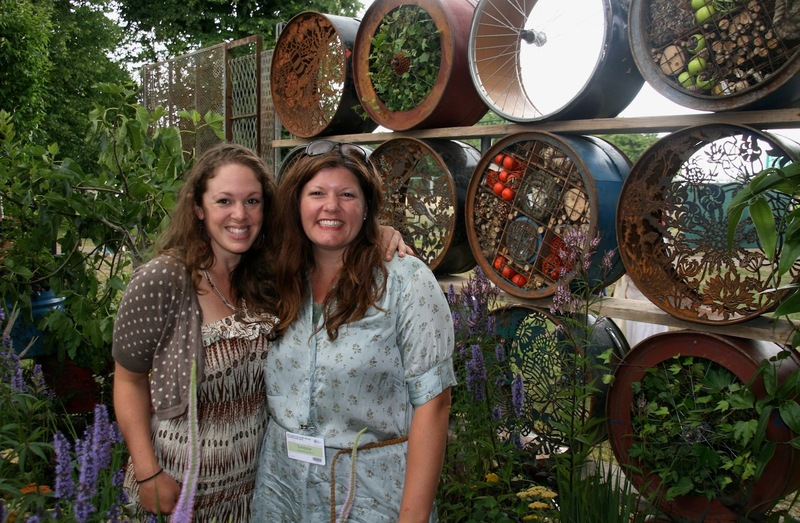 The garden focuses on recycling and upcycling materials in inventive and creative ways. 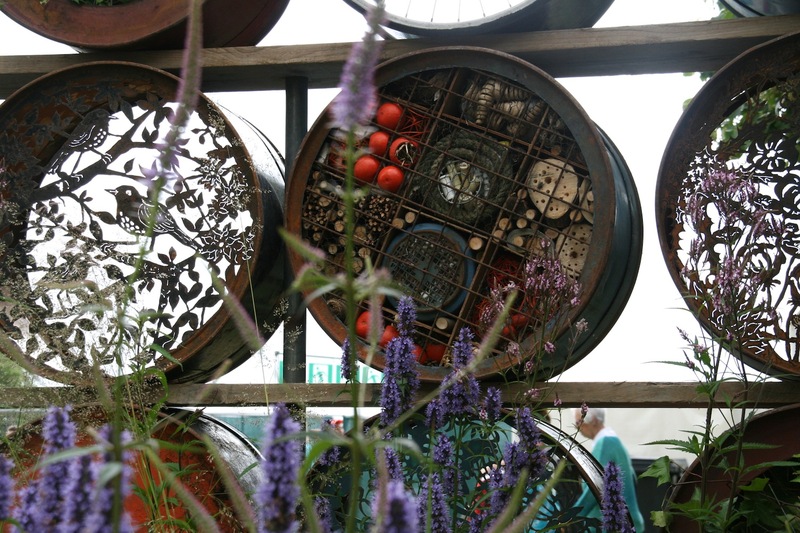 Empty oil drums from the 2013 Peterborough Arts Fest become planters for herbs and edibles. 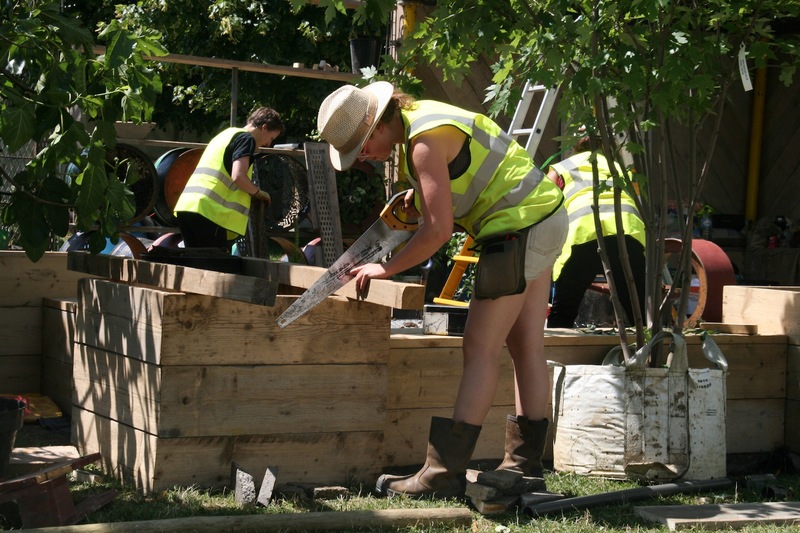 Old scaffold boards are recycled to form planters for trees, a table and chairs. 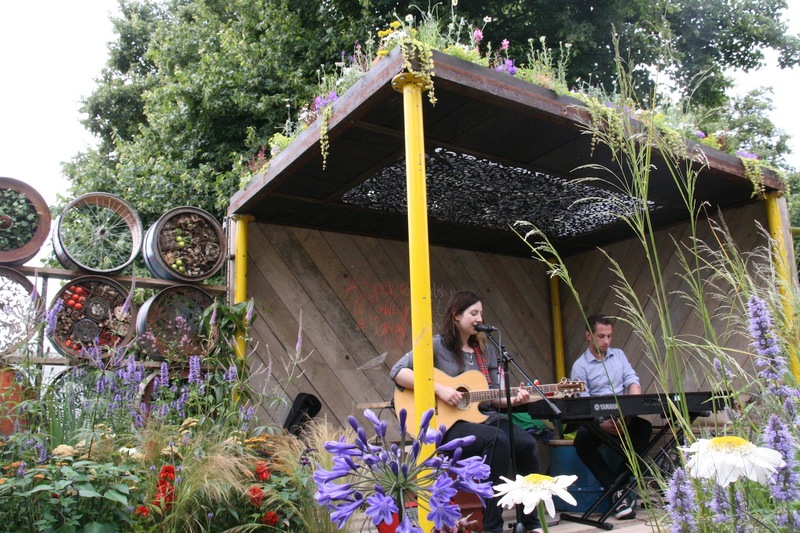 Redundant farming machinery creates a the roof for new outdoor stage for performances. 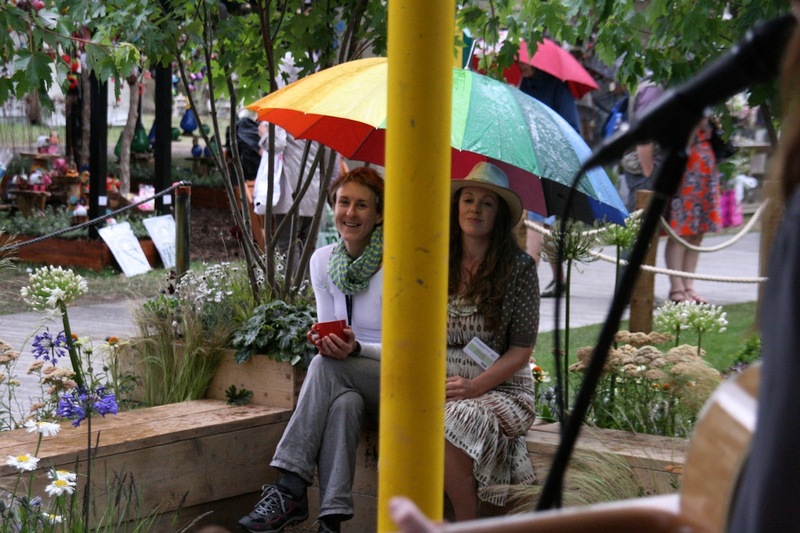 Jeni Cairns said about the garden: ‘Last year I was lucky enough to work with Metal as an artist on the Lantern Parade. 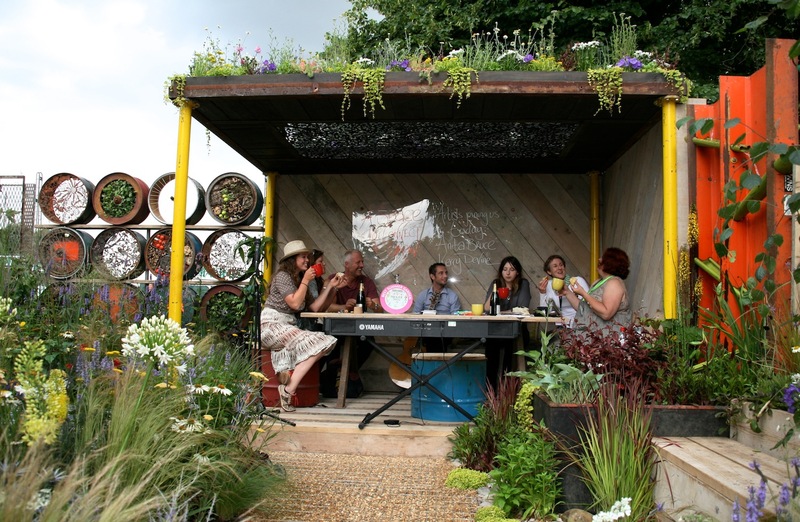 I was already mulling over possible ideas for Hampton Court and we started talking about the possibility of the garden returning to Metal’s base at Chauffeurs Cottage on St Peters Road. 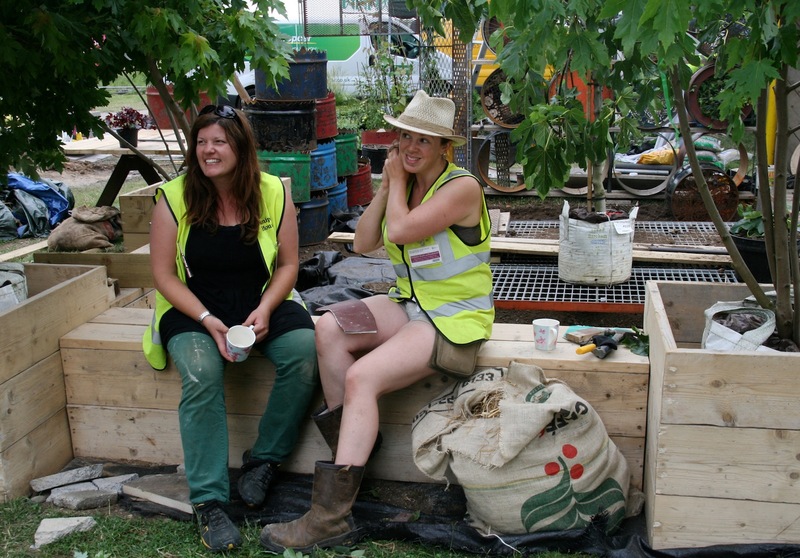 We recruited the support of The Green Backyard and the ideas flowed from there. 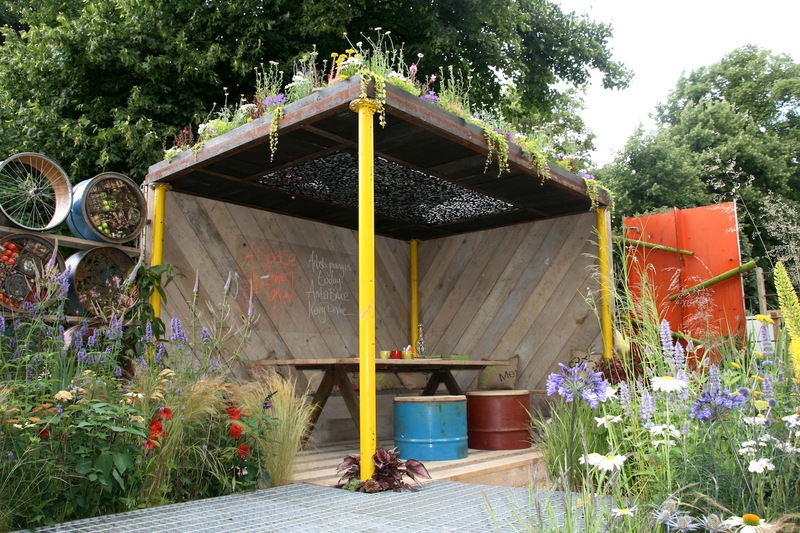 I started out asking the question ‘How does a garden space make us feel?’ I wanted to make an urban garden for Metal that uses recycled industrial materials in creative ways and brings artists and the community together in a space that breeds connection and creativity’. 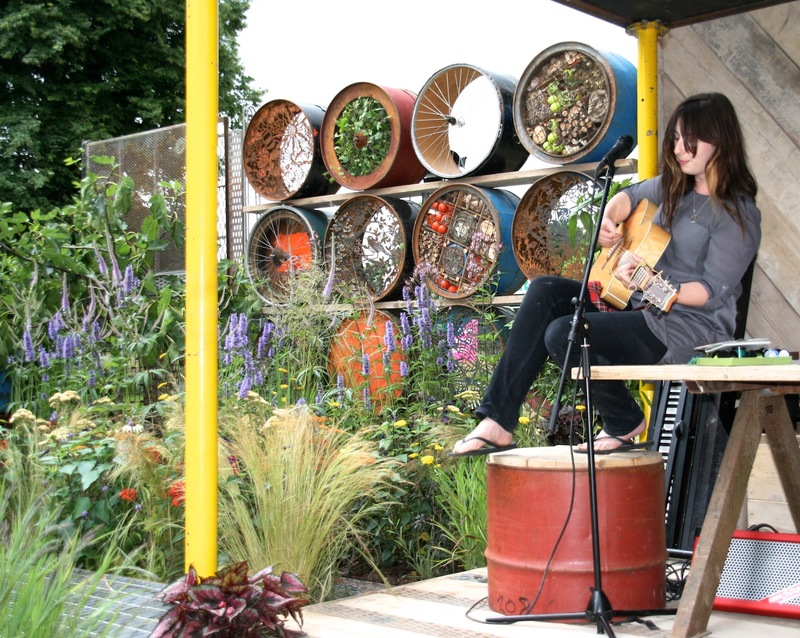 Jeni has designed a lively, creative space to grow food, entertain and work whilst also providing urban habitats for pollinating insects. 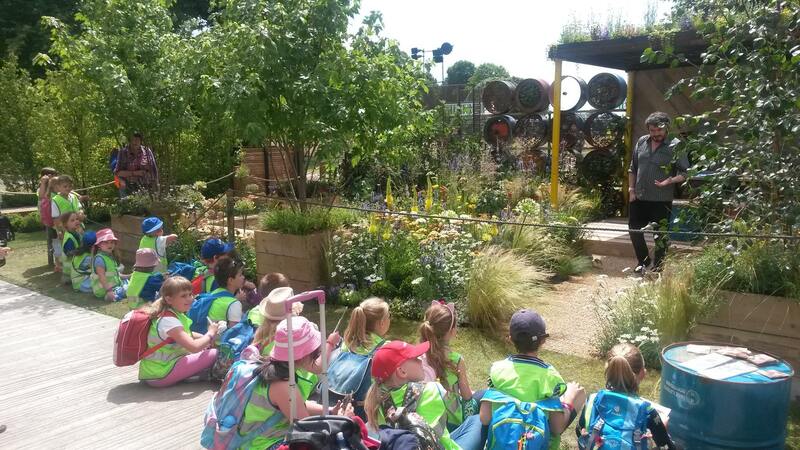 The garden won Gold and Best Summer show at RHS Hampton Court Palace Flower Show. 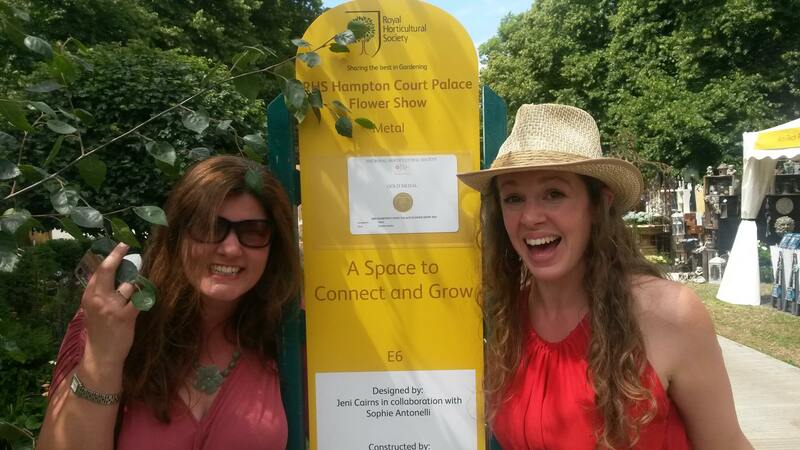 This is extraordinary news for Jeni, Sophie and all the Peterborough artists who performed in the garden. 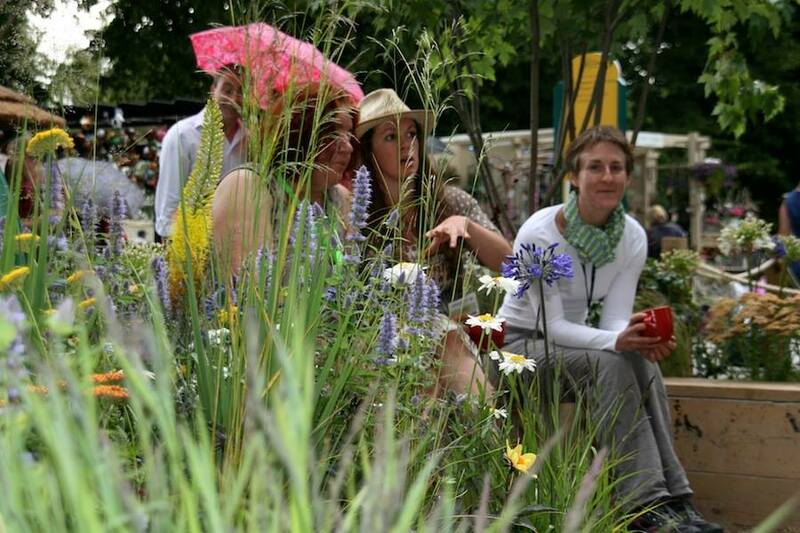 BBC garden presenter Monty Don described the garden “This garden is exactly the reason why I like going to flower shows. I have seen pretty much everything BUT, with a garden like this I feel the same rush of enthusiasm and pleasure as the first time I saw any beautiful garden.” “It makes you want to go back home and garden”. 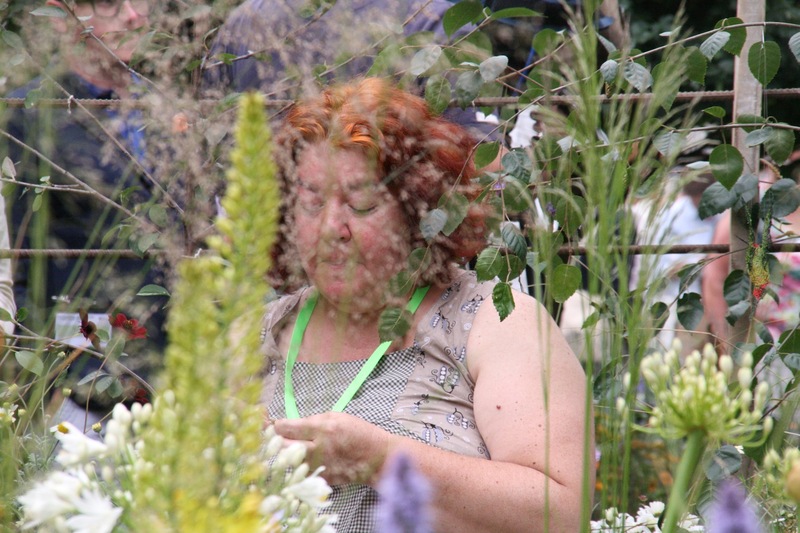 Hampton Court also provided the opportunity to profile the creative talent and cultural offer of the city to the hundreds of thousands of visitors to the show. 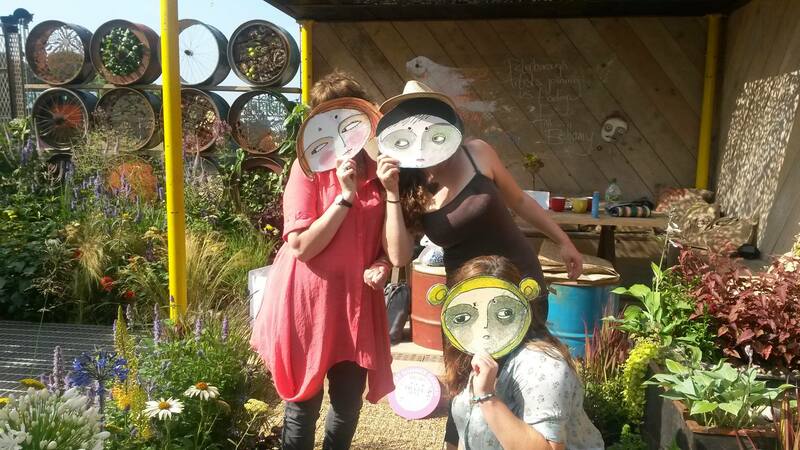 With funding from Creative Peterborough, Metal worked with Jeni to programme the garden with some of Peterborough’s best artistic talent. 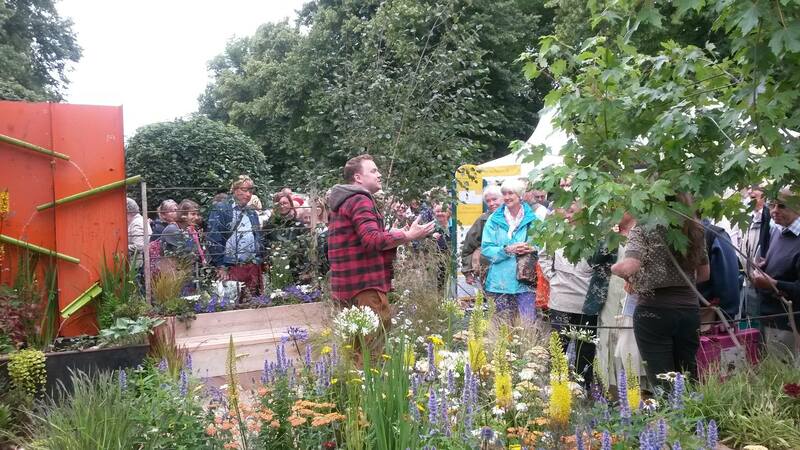 Poet performers Keely Mills, Ross Sutherland, Mark Grist and MC Mixy (Michael Riccardi) took to the garden stage, as did singer songwriters and musicians Kerry Devine, Misty Jones, Marcel Pleasance and David Pleasance. 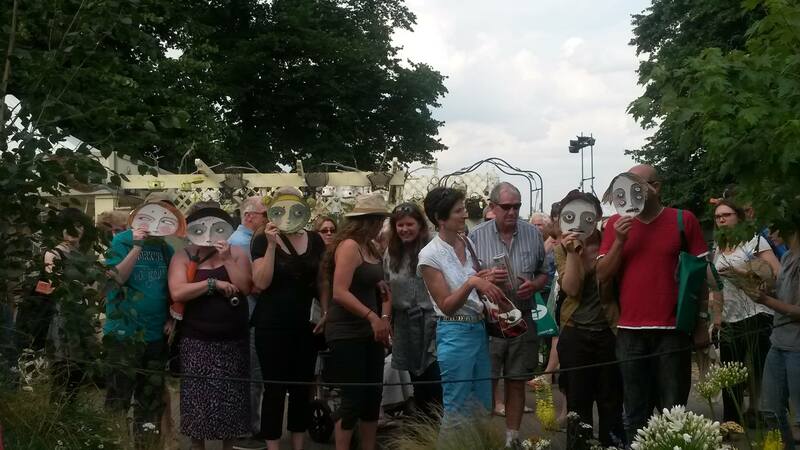 Visual artists Ann Bellamy, Anita Bruce and Tony Nero demonstrated their work to the crowds. 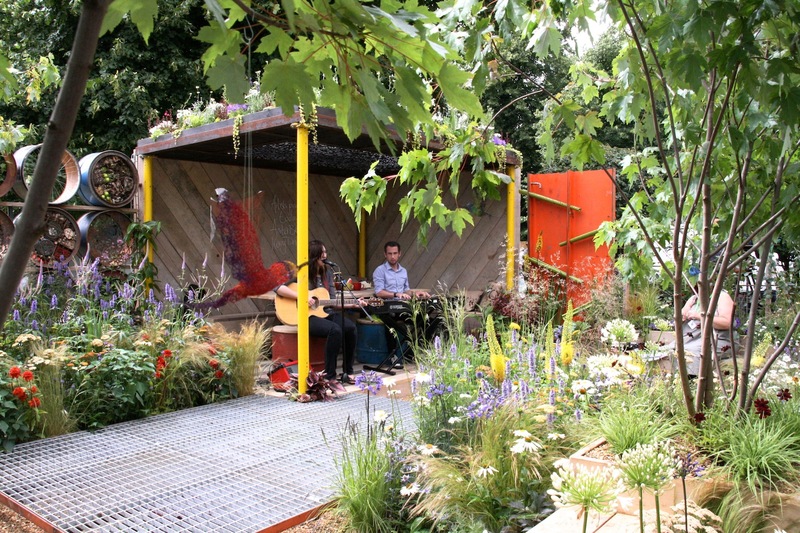 The garden has now returned to Chauffeurs Cottage in Peterborough helping create another valuable space for artists, community groups and audiences to meet, perform, create and grow. 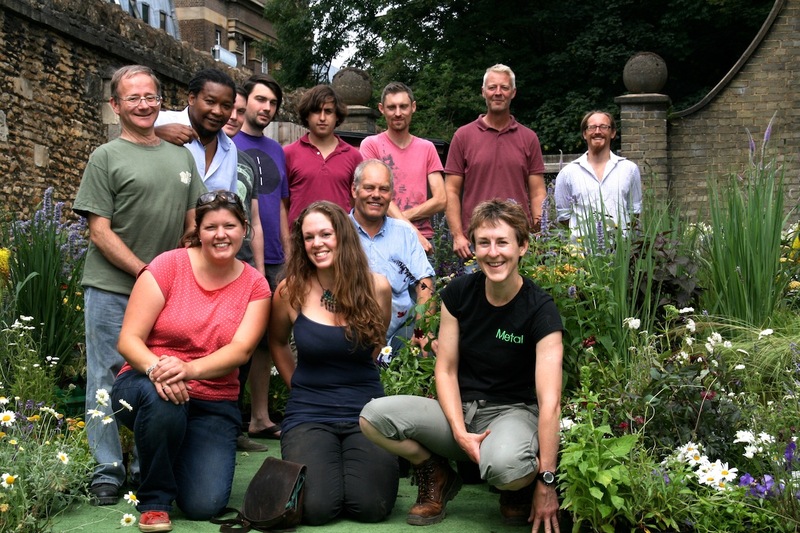 We are recruiting volunteers to help install and maintain the garden. 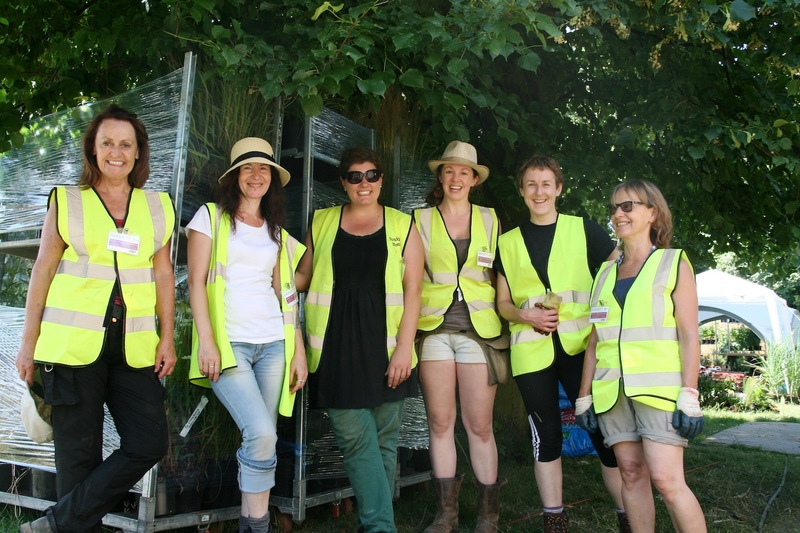 Find out details about volunteering here. 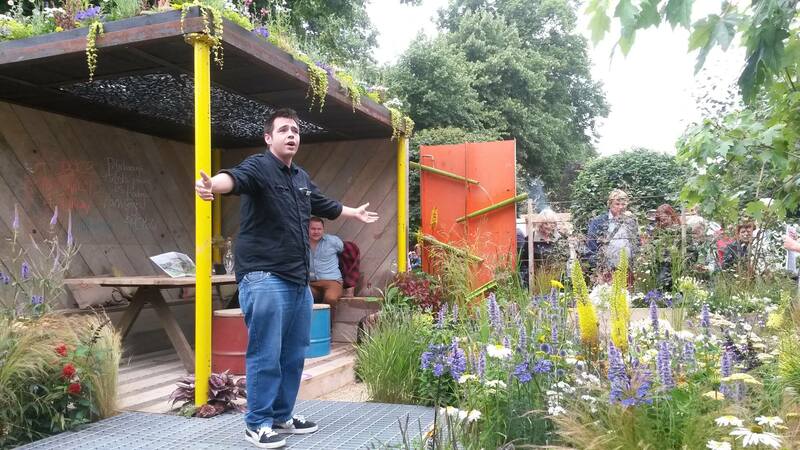 The garden was launched to the public on Sunday 7th September 2014, with performances, workshops and question time. 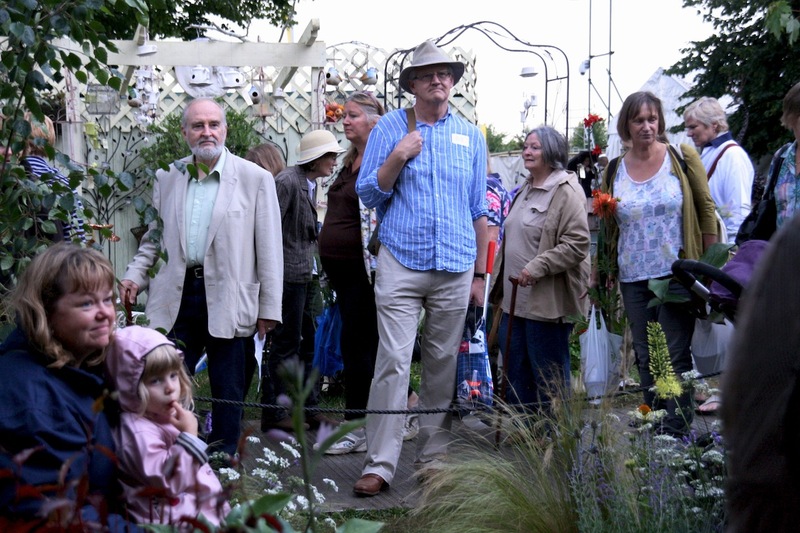 To see some pictures of the garden click here and to see the programme of artists in the garden click here. There was some fantastic reviews from different websites and bloggers. Here are a couple of our favourites.